Brava! 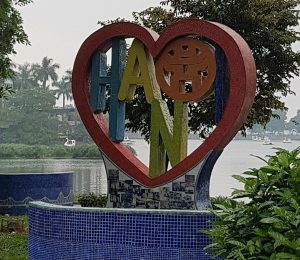 for your Hanoi adventure Sally. Your lovely poem is an invitation to explore and to trust. Such powerful interactions you’re having there Sally–you are indeed stretching as Maya Angelou so encouragingly suggests we each do. It’s easy to overlook the importance of connections and remembering we are all a part of humanity, your poem brings this importance out, thanks! Thank you Michelle. I am appreciating the connections with my PF friends through this post. Yes, Maya is a brilliant human being. Thank you for sharing her video. And your post and poem contain much wisdom for us all. Despite all our differences (some wonderful and fascinating, others divisive — or is that just our reaction to differences), we share so much in common because we are all human beings. I suspect your homesickness is one of those universal experiences for any who have been separated from loved ones. I hope you are able to find comfort in connections with your family through the distance and enjoy those new connections with new friends you are making. Thanks Kay. Yes, i think homesickness is a universal thing – akin tot he feeling we have when we are perhaps still at home but want things to be how they were at some other time. The ability to appreciate those you are missing is a wonderful side effect – absence makes the heart grow fonder, after all. I’m so glad you’re sharing the difficult moments as well as the exciting new ones, Sally. I hope you’re taking comfort in your courage and your ability to observe, as a poet, the humanity in all of us. Thanks Michelle. I am doing so – being able to write about experiences is such a blessing. Sorry to hear about the homesickness. Thanks for reminding us that no matter where we live or where we go, we all speak the “human language.” Love how you shared the positives you gained through these interactions. Thanks Jama. Homesickness is hard but it also serves to remind us what we have. I love this post. I’m not seeing family as much as I wish. This poem reminded me of so much. You are welcome Jone – and thank you for popping by. Thanks for sharing Sally. We can often learn a lot about ourselves in situations outside our comfort zone. It reminds me of when I travelled to Spain by myself and one particularly cold day in Granada I felt pretty alone until an older gentleman on a park bench next to me said hello. Such a simple connection but it was enough to keep me going! thanks Erin. Yes, I am learning a lot about myself, and also finding that my comfort zone is shifting, which is a great thing. I just read that today is a “day of gratitude” and your post celebrates that, Sally. I know about homesick, missing that familiar that is loved, but your stepping out and trying is wonderful to read about. The poem wonderfully captures the little moments (as Maya Angelou says so lovingly) that mean we are all human. Beautiful post! Thanks Linda. I am grateful for friends who say such lovely things! Thanks Irene. Yes, I think children are very good at overcoming differences- or perhaps not even seeing them. Oh, Sally….that homesick feeling. I’m sorry you’re feeling it. And, I’m also glad that you are feeling it while pushing past it because that’s the best part. I really think all of us should live in a foreign place for a time and then come home. It’s such a poet’s journey. 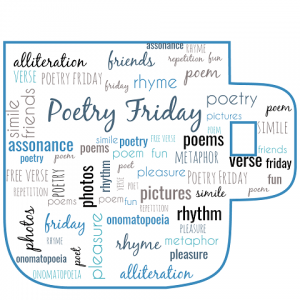 What wonderful experiences you’ve had and capture in your poem. I have to tell you a quick story because…well, you started it! I was living in another country for two years as a young and single person. I was having fun but at the point of a little homesickness. I took a ferry with a new friend to an island. And, on our return, the deck was crowded with people ready to disembark when a dog felt the “call of nature” and didn’t refuse it! A circle of humans widened up around the poor dog in surprise and disgust. I had that thought, hmmmmm. some things are universal. ha! I was so young but really just getting going as a poet. Enjoy today. I wish you sweet moments of adventure. Ha! Thanks for haring your story, Linda. Yes, I can see that as a universal moment – for everyone but the poor dog! I got such a warm feeling from this post, Sally. I so admire your courage in stretching your wings and soaring in a new environment (still thinking of the last PF post I read…). Your post, your poem and your anecdotes are the perfect antidote to the divisiveness that runs rampant in our news these days. Thank you for sharing these commonalities and please keep sharing your adventures! Thank you, Molly. Sharing my experiences helps me clarify them, so I’m glad they are warming you, too.